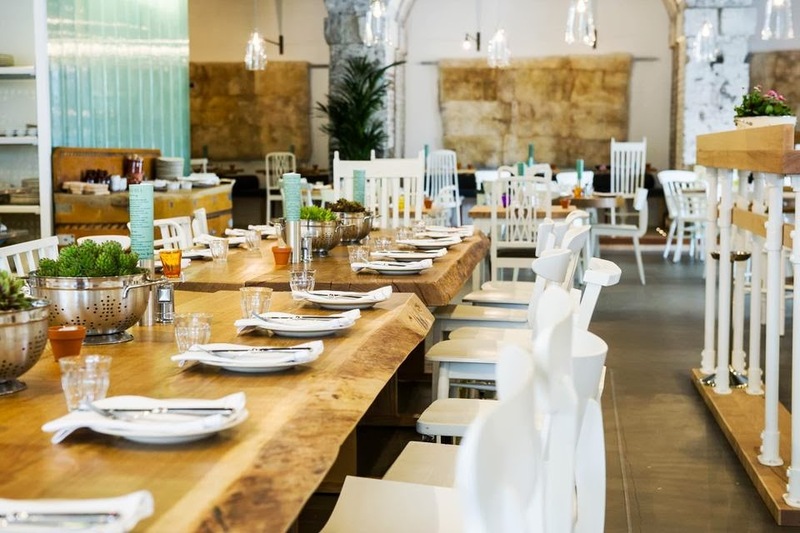 Last Saturday we went for a family lunch at Grain Store, the newest restaurant from Bruno Loubet and the Zetter Group which opened earlier this summer. Cranes and steel frames filled the skyline along the five minute walk from King’s Cross station. King’s Cross is in the midst of an urban redevelopment project. It’s so BIG, it has its own new postcode. That’s BIG! 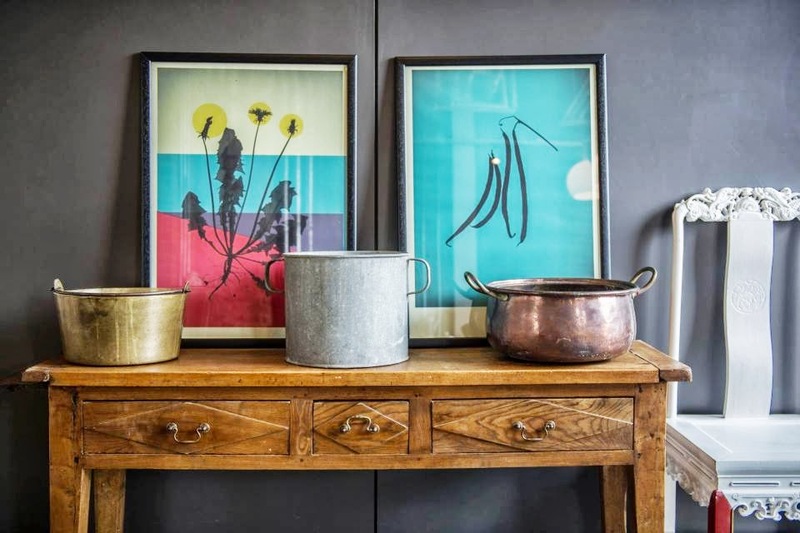 Grain Store is located on Granary Square just steps from the banks of historic Regent Canal. The square opened in June 2012 in Phase I of the redevelopment project. It is equal in size to Trafalgar Square. That’s BIG! In its first year, the square has been the setting for concerts, outdoor movie theatres, and dance groups. A permanent featured attraction are the 1,000+ choreographed fountains which kids (and adults) enjoy watching and running through. It was another pur-tee day in England and ‘dem city folks were out sunbathing on fresh astroturf and shiny concrete. 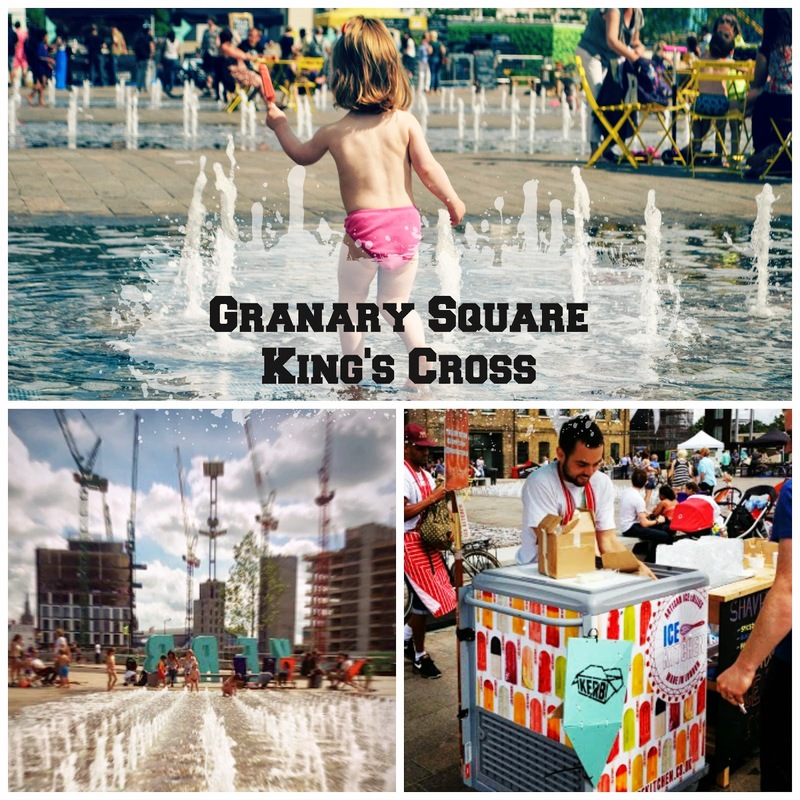 KERB had taken over Granary Square sponsoring a Saturday market with select street vendors. We used great restraint and did not taste any tempting samples as we crossed the square to Grain Store’s front doors. Of course, Ouisie spotted a popsicle vendor and nearly jumped out of her stroller at the sight of children splashing in the fountains. We prevented a full blown temper tantrum by bartering both wishes in return for good behaviour at lunch. We three entered Grain Store, all smiles. Grain Store is centered around a Victorian warehouse in which exposed pipes and wires reflect the building’s origins. Animal fur rugs hang above the banquette seating creating softness in the otherwise hard surfaced setting. Acclaimed interior designer, Russell Sage, brings the open kitchen concept to the diner’s table by incorporating familiar cooking utensils as decor and centerpieces throughout the space. There is a variety of indoor seating options, as well as an outdoor patio on the square for alfresco drinking and dining for up to 80 covers. 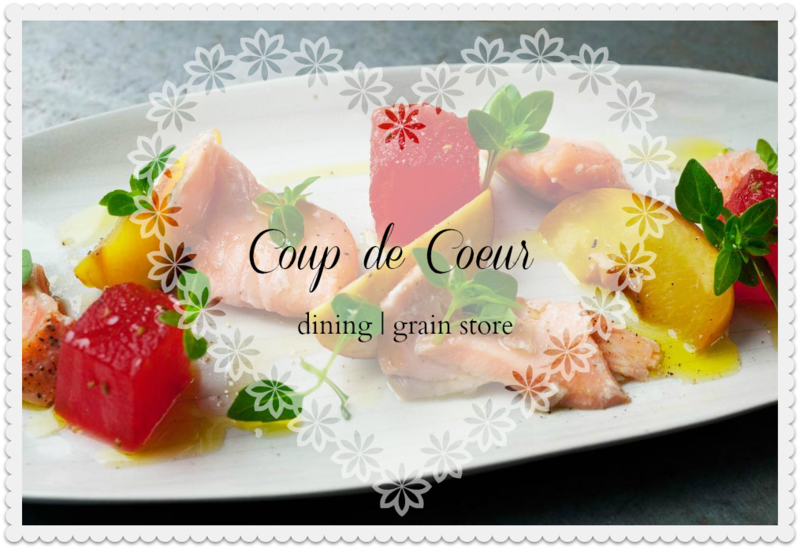 Bruno’s menu is influenced by his travels and features a wide range of flavours and spices. He pays particular attention to the vegetables which he has long enjoyed growing as a hobby. While many dishes have meat and fish, the vegetables hold equal importance, if not center stage, even being listed first on menu items. It is refreshing to find a kitchen that prepares meat and fish to complement the seasonal produce rather than overshadow. 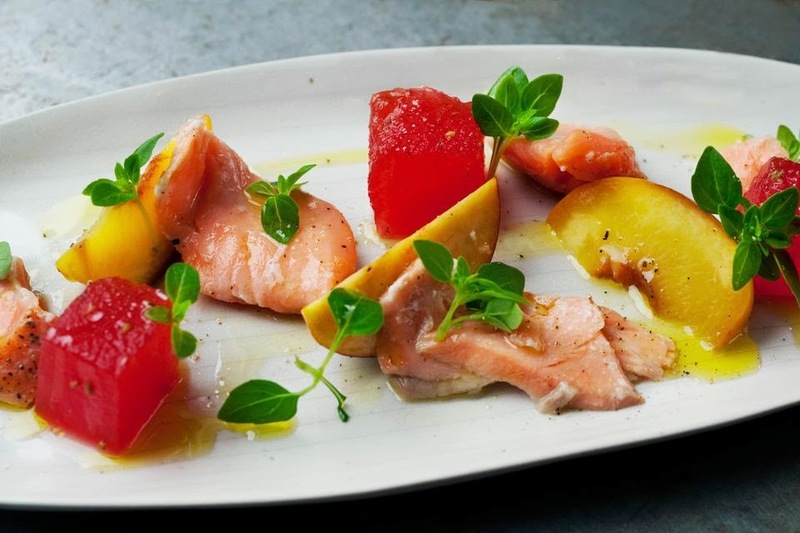 MASH Purveyors supplies the restaurant’s beautiful seasonal produce, some of which comes from Secretts Farm. Read more about Chef and my tour of Secretts Farm here. Both bar and food menu pricing are moderate. As we were dining at lunch, we appreciated the option of ordering a carafe of wine rather than a whole bottle (though I am pretty sure we would have easily had a bottle if Ouisie was not itching for that promised popsicle). We rarely dine out because we are hard pressed to find better cooking than what we eat at our cottage. When we do venture out, we are select in our restaurant pick. 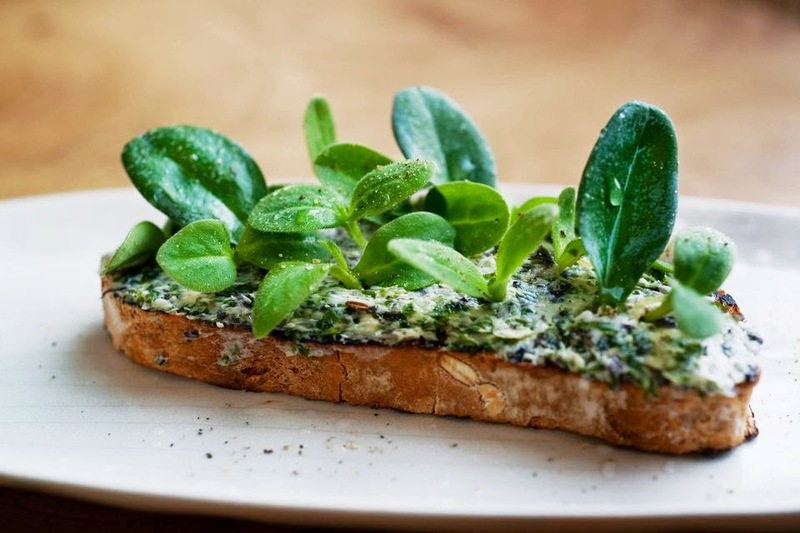 Grain Store provided a memorable lunch with compelling food flavours, perfectly presented dishes, and a fun atmosphere. Chef Bruno was expediting when we visited. We spoke briefly to him and learned he has been working around the clock since the opening. He describes the food as simple. We would describe it as simply perfect. As for Ouisie, she was a star diner thus earning her promised popsicle and splashes in the fountain. Splash in the fountains (adults and kids welcomed). 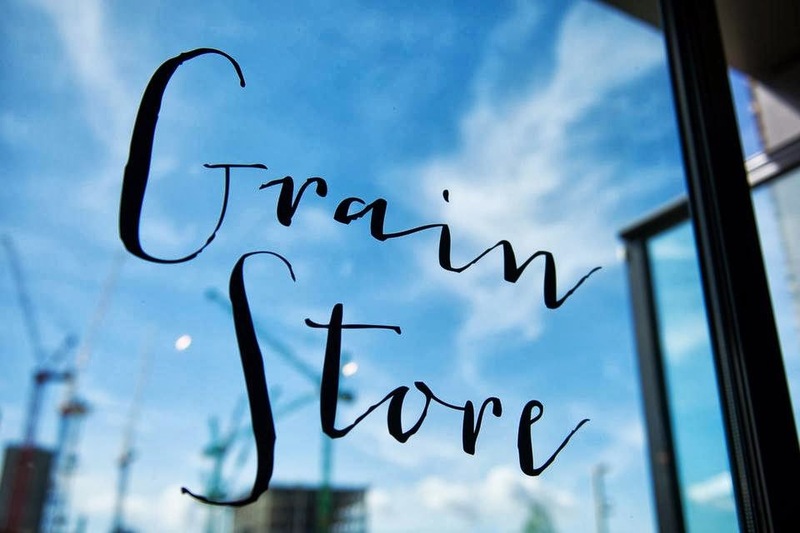 For more information on Grain Store visit their website here. Keep updated on restaurant’s news by following on Twitter and Facebook. 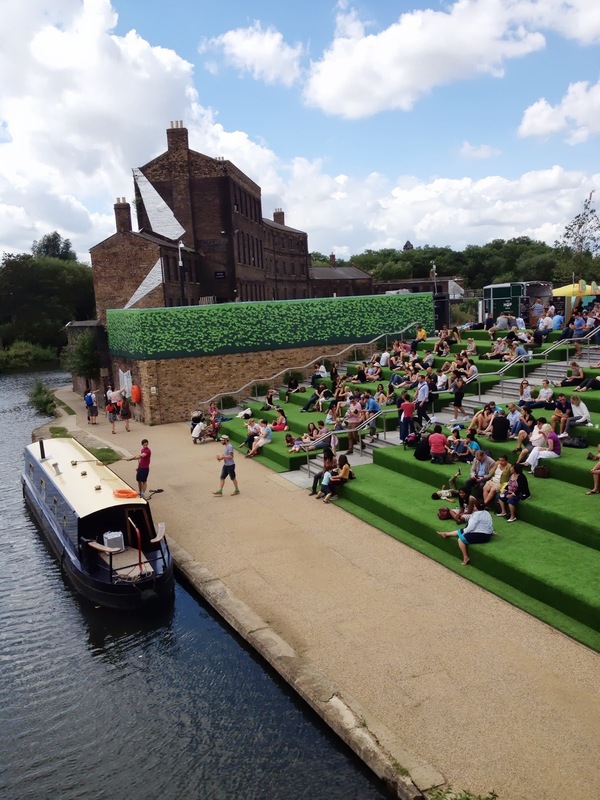 For more information on KERB and events around town visit their website here. Keep updated on KERB new by following on Twitter, Facebook and Tumblr. Keep up with King’s Cross redevelopment and new openings here. Photography Credit: Photography is not permitted in Grain Store. Above images of restaurant and food have been borrowed from Grain Store’s gallery. YUM! Great review . . .Chef Bruno should be very pleased. We'll definitely put the Grain Store on the list for our next trip to London.